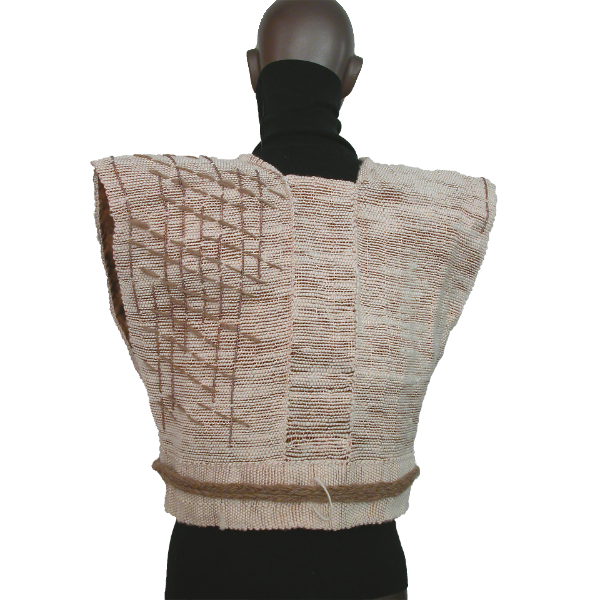 Cropped vest woven on a floor loom using copper wire and natural alpaca; lined with ecru habotai silk. 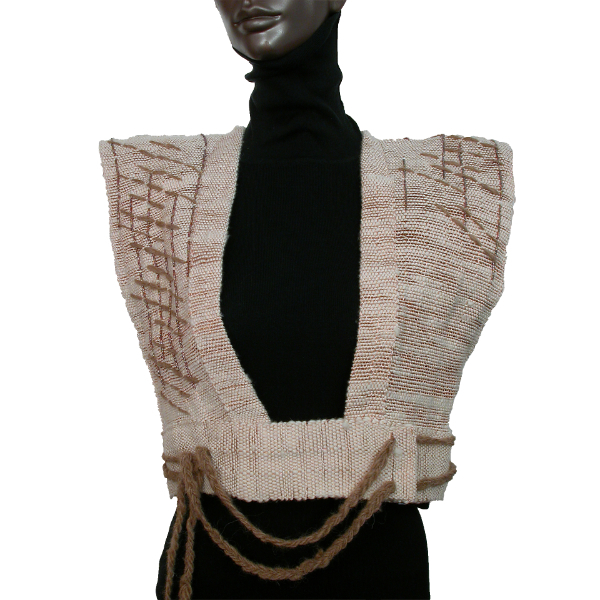 Accented with hand spun merino wool and Czech glass beads; braided belt. Completely hand-stitched.